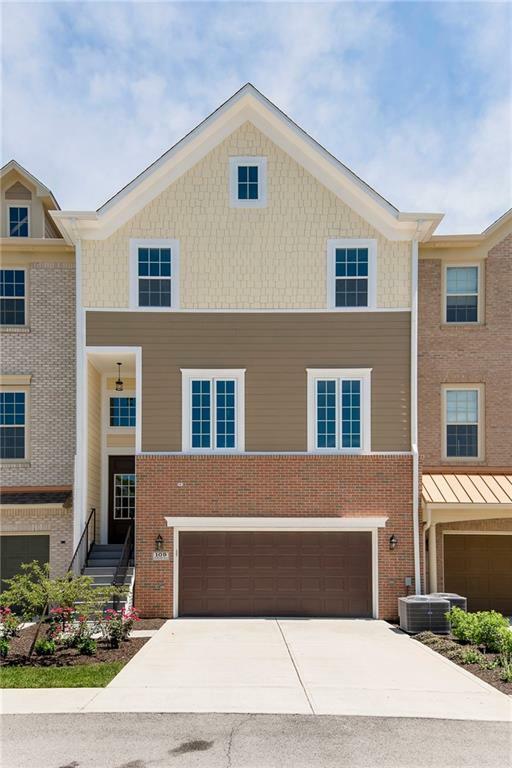 Beautiful transitional style townhome in Zionsville. 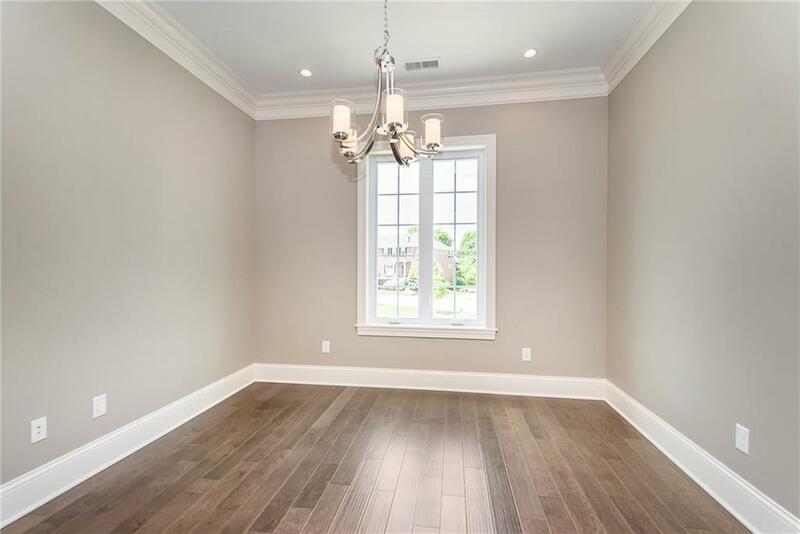 Main floor includes 10 ceilings, wood flooring throughout, great room, butlers pantry, moms office. 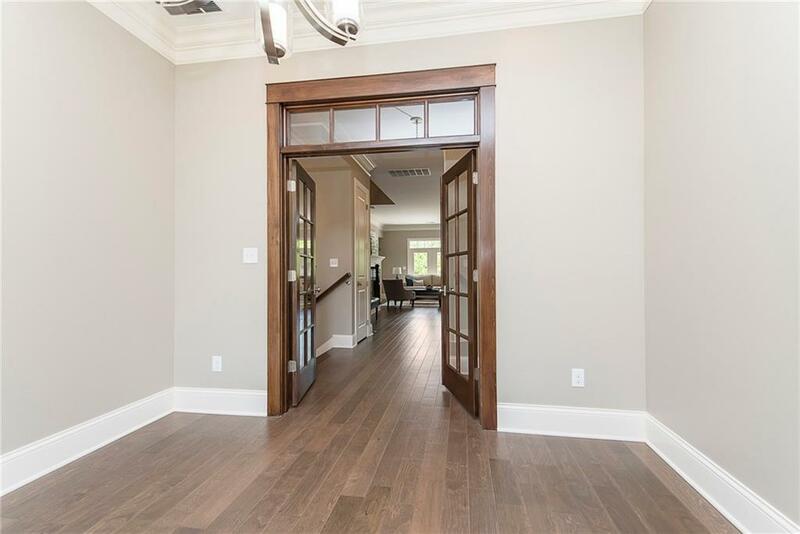 Distinctive French doors take you into a private dining or office area. 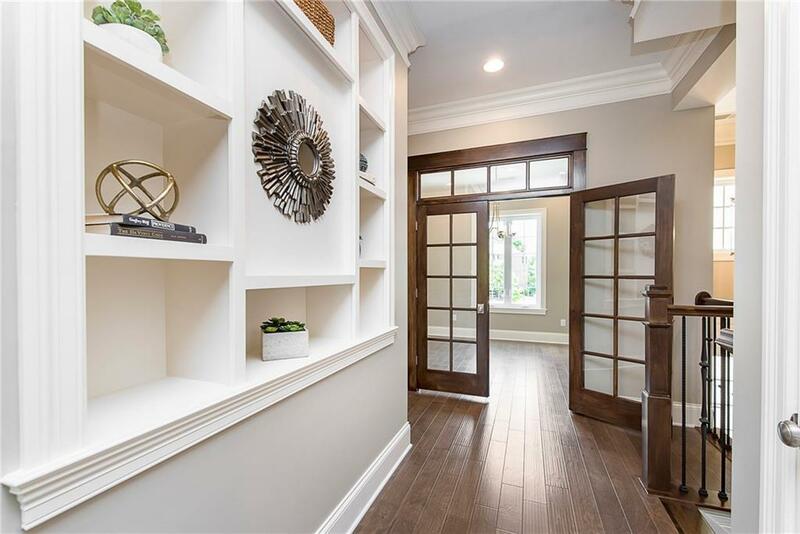 Extensive trim throughout including wainscoting which offsets the beautiful wrought iron stairways. Upscale kitchen with island. Quartz and solid service countertops throughout. Huge master shower and separate vanities, wet bar in spacious lower level and plenty of storage. Large Deck overlooking tree line completes this elegant home with an easy walk to the village.